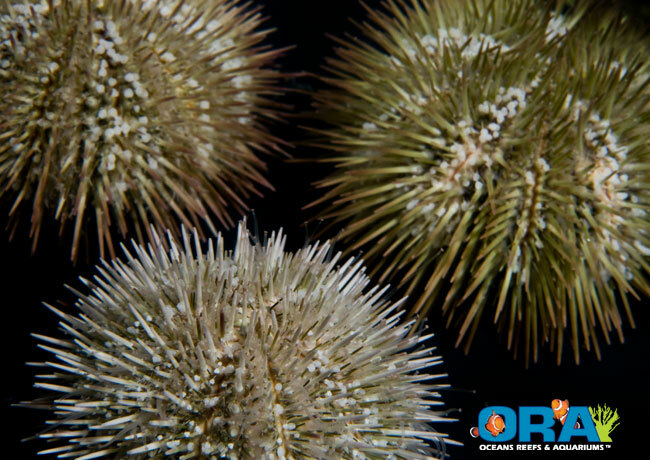 We are psyched to announce that ORA is now breeding Variegated Sea Urchins (Lytechinus variegates) in captivity. 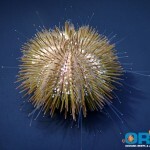 This first ORA species to be announced in 2011 is the 85 ornamental marine species they offer. 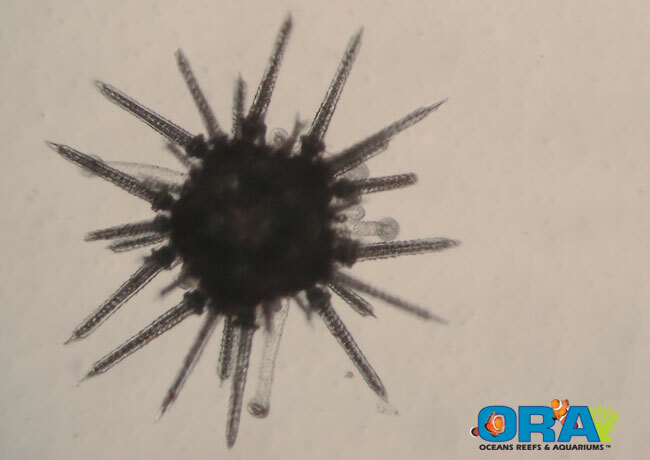 Urchins are regularly used for algae control in the ORA’s coral greenhouse, and although they have experienced mass spawning events in the past, no real effort had been put into trying to raise anything. 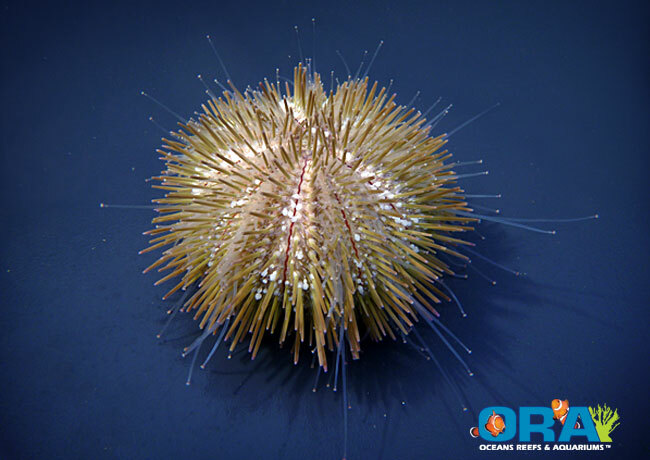 Beginning on Dec 31st, of 2010, ORA coral employees collected the Variegated Sea Urchin eggs as they were being released. 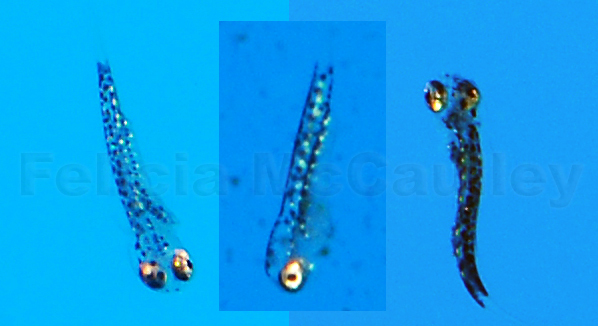 Out of curiosity, a small amount of sperm was mixed with the eggs in order to fertilize them. 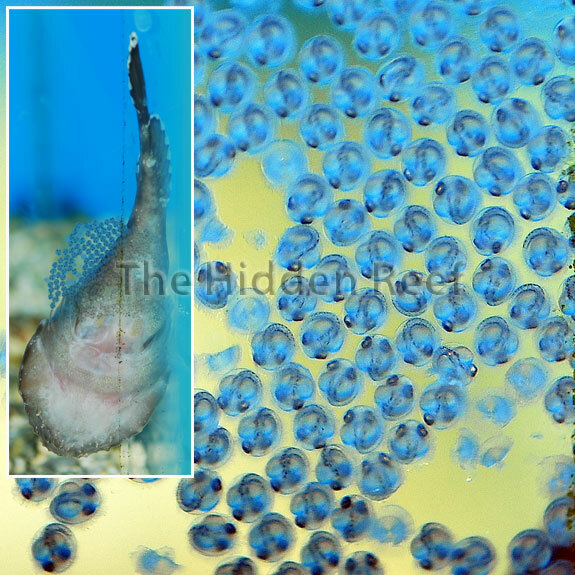 The fertilized eggs were placed in a temperature-controlled room, and the magic began. 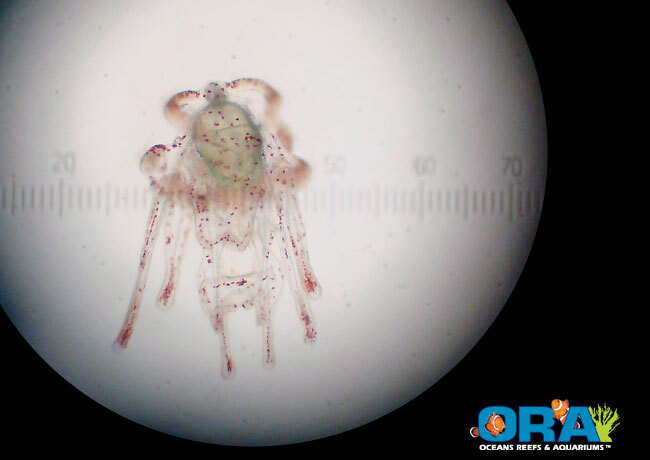 Over the next few days, ORA employees places the Pluteus larvae in a larval tank, and a supply of diatomaceous microalage was provided as food. 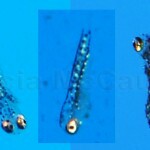 Several weeks later, a new batch of algae eating machines is on it’s way. 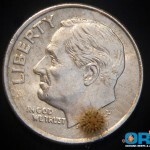 ORA is unsure of the growth rate at this time, but hopefully these will show up on their list relatively soon. As always, ORA always provides amazing photography to document their progress. 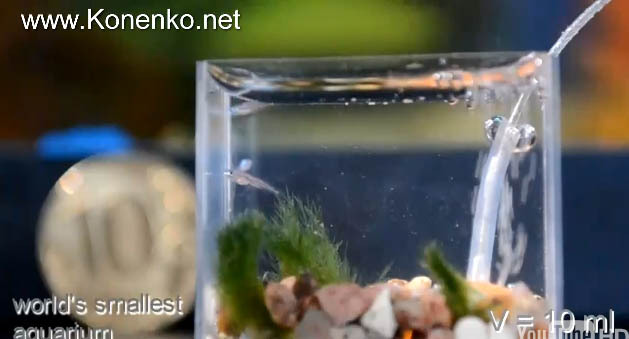 Anatoly Konenko created the a glass aquarium measuring 30 x 24 x 14 mm. The tiny little tank contains miniature plants, rocks, and a couple of fish. Now…what was that fish-per-gallon ratio again? So let’s see…this plus that, carry the one, nevermind! Although clearly (read hopefully!) not a long-term project, the tank uses a an air pump to ensure there is some oxygen exchange. You have to admit that water changes are going to be quite easy, although maintaining salinity and temperature, pretty much impossible. Again, we hope this was just made and shot as a cool little video, and fish were then moved to an acceptable tank. 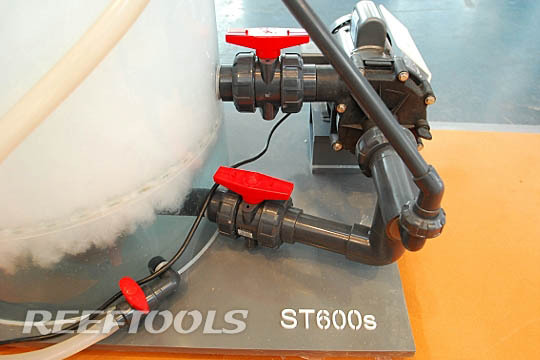 The commercial sized recirculating Skimz TurbMagnum ST600 is designed for nano tank up to 20 gallons. 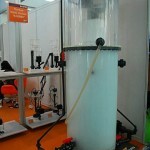 Ok fine, it’s designed for commercial farms, large public aquariums and other large aquatic setups. 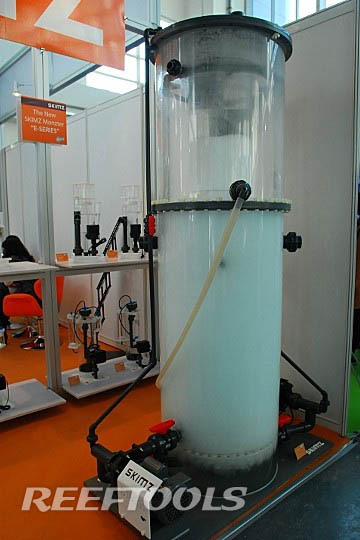 The newly developed Hybrid Needlewheel Impleller (HNI) increases the air intake, and makes this skimmer extremely efficient. 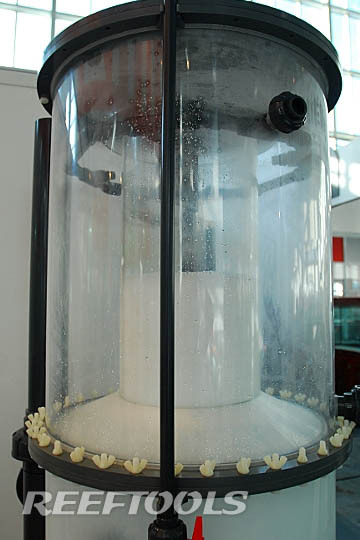 This large protein skimmer uses a bubble plate to reduce turbulence inside the reaction chamber. Producing an absurd amount of fine bubbles, the TurbMagnum ST600 is an absolute beast. 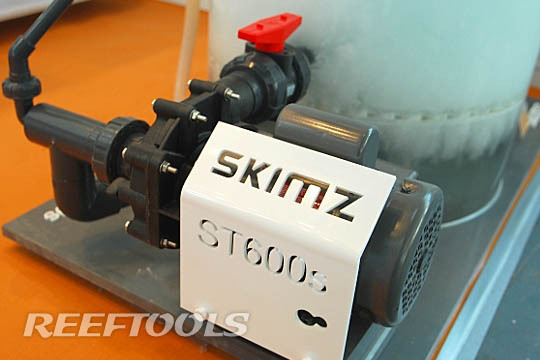 This large commercial skimmer comes with a Self Waching Head (SWH), which Skimz claims increases efficiency by up to 30%. The SWH washes away accumulated skimmate on the riser neck and allows the unit to optimally perform at all times with minimum maintenance. 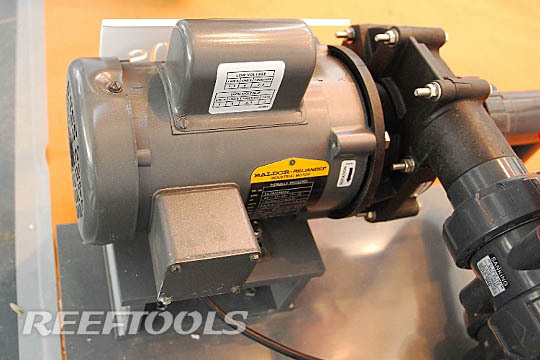 The skimmer is powered by two Reeflow HammerHead pumps, and has a quick release valve for flushing out the chamber. 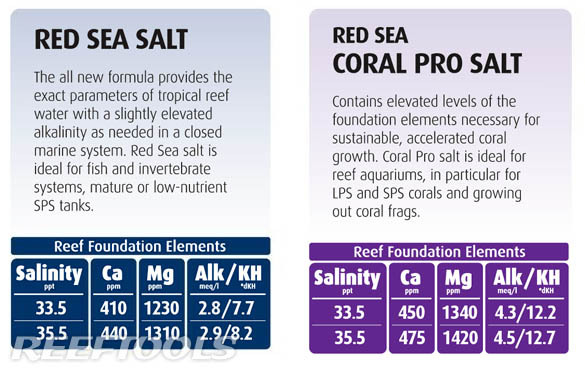 Red Sea’s new Red Sea and Coral Pro salts are now produced using new formulas. 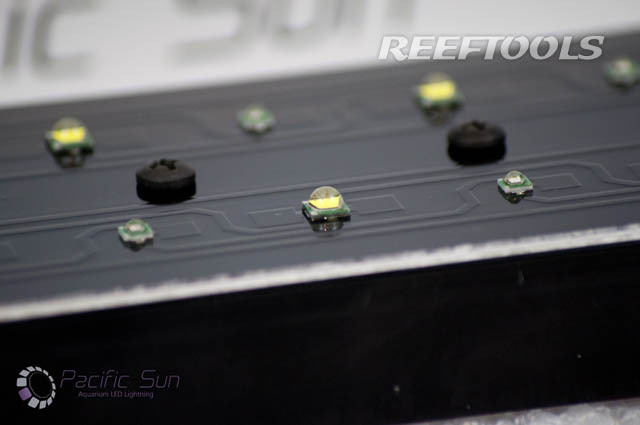 With “it’s all in the balance” as their new tagline for this salt line, Red Sea is pushing the idea of optimal balance between Calcium Carbonates, and Magnesium (Foundation Elements). 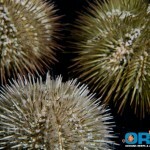 As we all know, it’s this balance (along with other things) that contribute to coral growth and vitality. 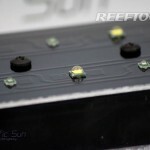 If the salt you use mixes to the exact parameters you’re trying to keep, then you need not add anything to the fresh saltwater mix when doing waterchanges. 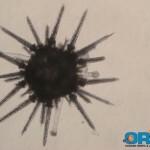 The all new formula provides the exact parameters of tropical reef water with a slightly elevated alkalinity as needed in a closed marind system. 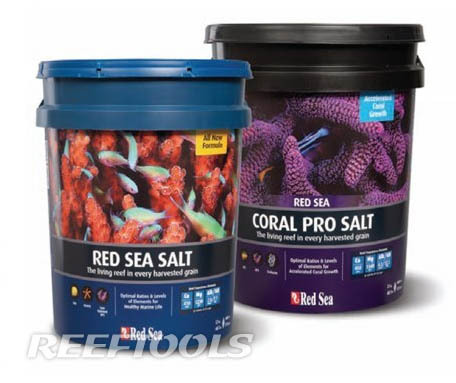 Red Sea salt is ideal for fish and invertebrate systems, mature or low-nutrient SPS tanks. Both salt mixes use over 72% Sodium Chloride (NaCl) harvested from the Red Sea itself, capturing 45 trace elements found in natural reef waters. 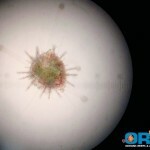 In a recent Coral Magazine email, we saw this great BBC video we thought you’d like. 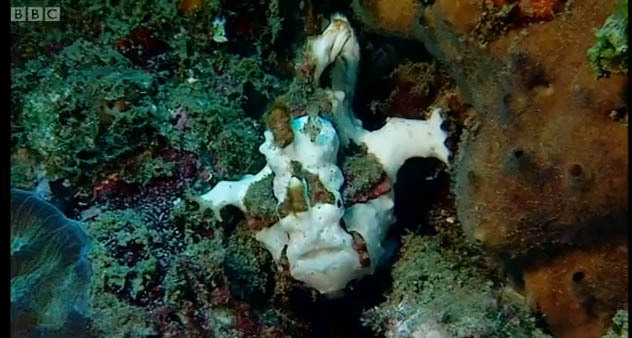 The video is titled “Underwater masters of disguise – Wild Indonesia” depicts disguises which have been adopted by many forms of marine life in order to avoid predators. You’ll be amazed at the warning and deception abilities of frogfish, pipefish, seahorses, sand-skimming flounders, and many more species. An example we normally see in our tanks, are the clownfish who “steal” a chemical from host anemones, so that the anemone doesn’t recognize them as prey. It’s amazing that cardinalfish and hawkfish are starting to develop the same abilities, and as this video show, are now living within anemones in the wild. Just another example of evolution taking it’s course. 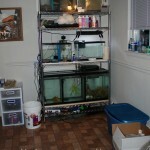 Whether you’re moving across town or across the country, moving your aquarium and its inhabitants is hard work. It’s safest to pack them in a Styrofoam box with heat or ice packs depending on the weather, but if you’re not going far, a five gallon bucket may suffice. I recommend using Bag Buddies in fish bags to help reduce ammonia toxicity and to calm them down. If your drive is longer than one day, it’s best to have them stay with a friend or someone in your local aquarium club who can ship them to you when you are ready. You could also ship them to a trusted fried, if you have one, in your new location. It’s best to pack each fish in its own bag. If more than one fish is in a bag, there could be aggression issues, increased ammonia levels, or in the worst case if one dies, it could pollute the water and kill the others. Fill the bag first with clean, aerated saltwater that matches the pH and temperature of the tank water. 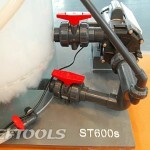 DO NOT use tank water, as it contains bacteria and organics that could pollute the water in the bag. Fill the bag between 10% – 25% full, then drop in a Bag Buddy or oxygenate the bag with pure oxygen. Make sure the bag is more than 75% oxygen or air, and less than 25% water. twist the top of the bag, then thread a rubberband through itself. Double over the twisted part of the bag, and wind the rest of the rubberband around it. Turn the bag upside down, and put it inside of another bag. Repeat rubberbanding, then turn upside down and put into a third bag. Turning it upside down prevents fish from getting trapped in the corners where they can suffocate or be injured. You want the bags to be firm to prevent sloshing inside the box, but not so inflated they may burst in the airplane. Place the bags upright into the Styrofoam box. If there is any empty space, pack it with a bag full of air. cover the bags with several layers of newspaper and tuck the newspaper down into the sides. To pack coral frags, cut a small square of Styrofoam and rubberband or tie the coral plug to it so it floats inside the bag. If packing a large coral colony, wrap it carefully first in a bag to act as a sling to keep the coral upright and preventing its pointy branches or rock from poking through the bag. Use as many layers of bags as you can to prevent leaks. There is no need to turn the bag upside down before layering it with another bag. Depending on the weather, use heat packs or ice packs. Don’t let the heat packs or ice packs touch the bags. Make sure there is a layer of newspaper between them, or use a water proof heat pack sleeve. Heat packs will not work if they get wet. Heat packs require a constant flow of oxygen to work properly, so poke a hole in the Styrofoam lid in the center just above the heat packs. If you are using a heat pack sleeve, cut off the corners. Tape them, or if the back is sticky, stick them to the inside of the lid. Try not to cover the heat pack with anything that could suffocate and extinguish it. You are ready to put the lid on the Styrofoam. If there is too much space between the lid and the bags, pack it with newspaper. 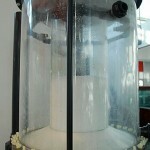 You don’t want the bags to jostle around inside the box at all; they could burst. 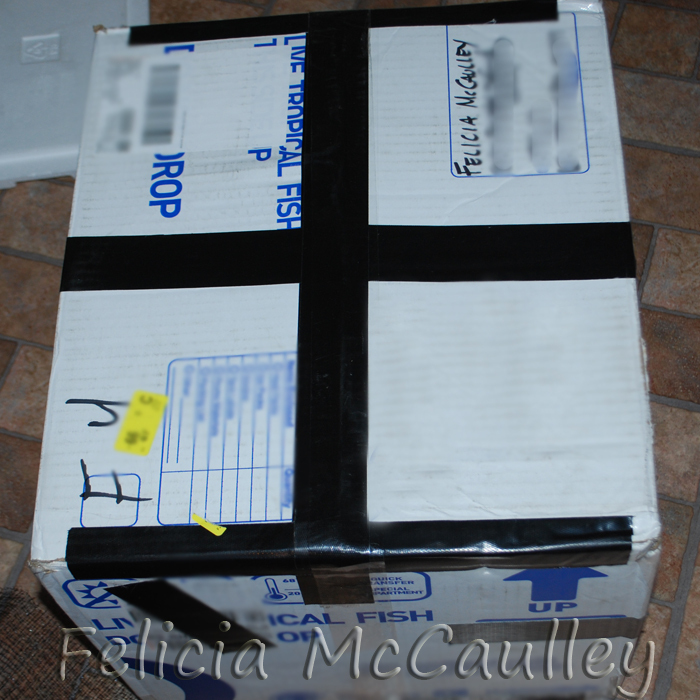 Use packing tape to secure the lid, then put it inside an appropriately sized cardboard box. The cardboard box protects the Styrofoam, is a great insulator, and allows a place to attach addresses and FedEx information. 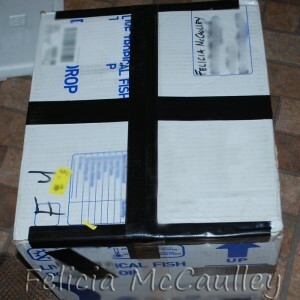 Tape the middle, all seams, and box flaps of the cardboard box and take it to your local FedEx location for shipping. When your fish arrive in their new home, get them acclimated as quickly as possible. 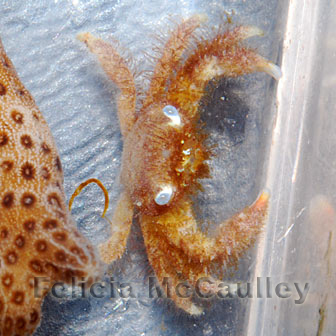 Some fish keepers recommend temperature acclimation only. 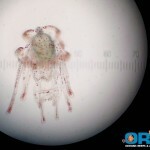 After spending more than a few hours in the bag, it’s likely to have a higher ammonia level and a lower pH as a result. 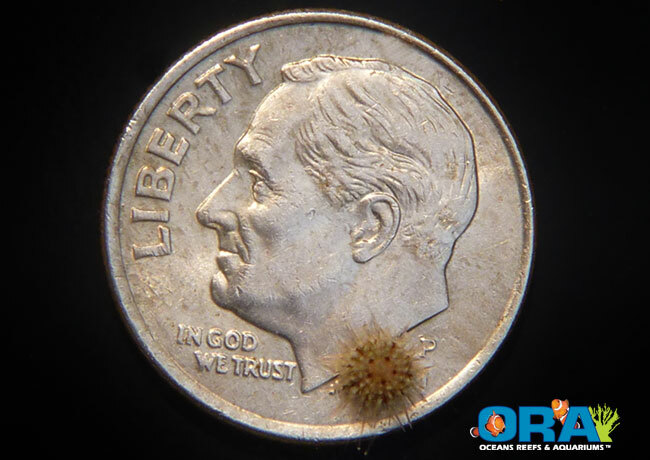 Ammonia is less toxic at lower pH levels. Dripping tank water into the bag water the fish arrived in will increase the pH and make the ammonia more toxic. 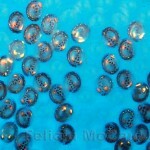 You may also remove as much of the bag water as possible and run a wide open drip line to quickly acclimate the fish. I recently moved from Wisconsin to Philadelphia and wasn’t willing to give up my fish and aquariums. I actually had to move the fish three times over the course of this move. We got rid of our apartment in Northern Wisconsin in October, so I went to stay with my in-laws an hour south while my husband went to Philadelphia ahead of me to find an apartment. Moving the fish wasn’t as difficult as moving the corals, and I ended up losing every last one because of the cold weather. What I should’ve done was pack them in a Styrofoam box with heat packs, but since we only had an hour to go, I put the fish and corals in 5 gallon buckets. 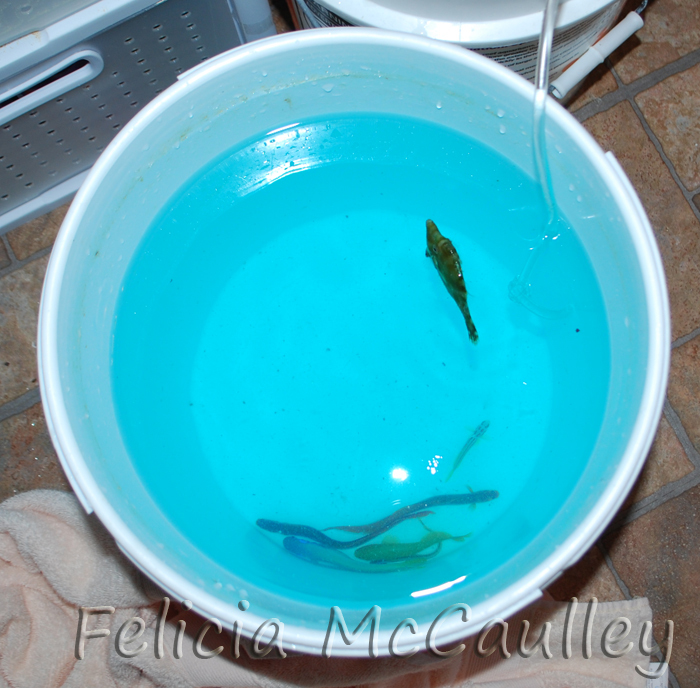 If the fish had to be in the buckets longer, I had planned to use battery powered air pumps to keep them aerated. 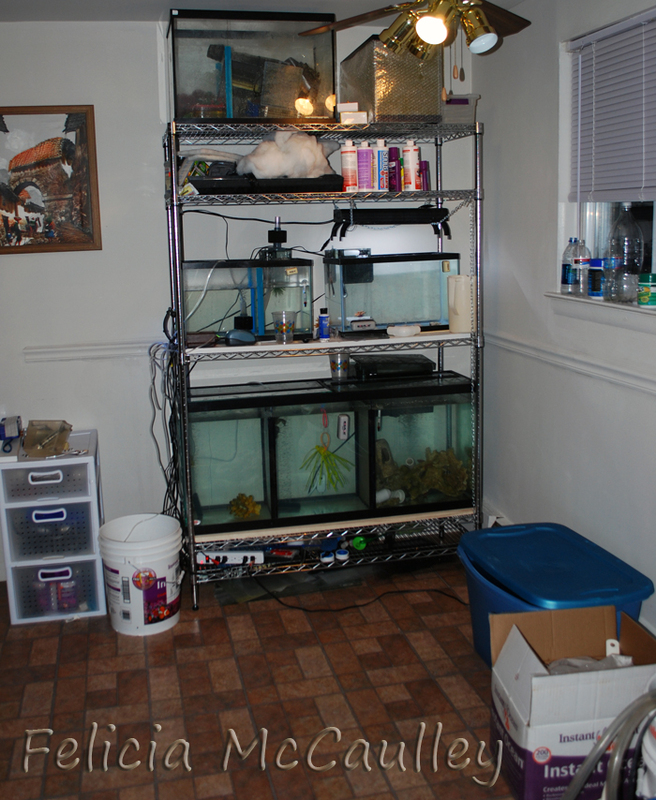 Once I was ready to move myself, our furniture, and our other pets (parrots, hamsters, gecko, etc), things got trickier. It was going to take 3 days to drive a moving truck from Wisconsin to Philly in sub-zero weather. There wasn’t room in the cab of the truck, and it would be too cold in the cargo hold. I decided the best way to proceed was to ship them overnight via FedEx to my husband who was already in Philly. 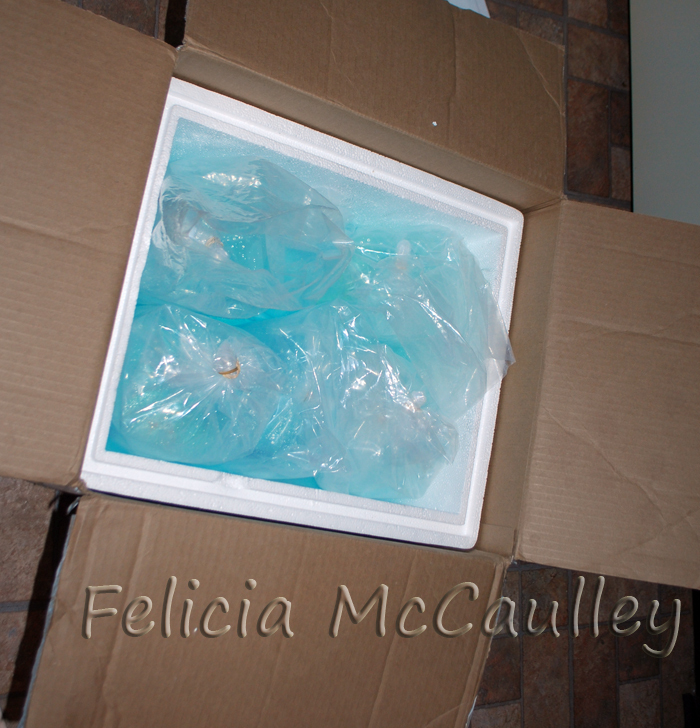 I packed up a test box of guppies, dwarf seahorses, and a couple hardy saltwater fish, then took it to FedEx. They quoted me $300 for overnight. 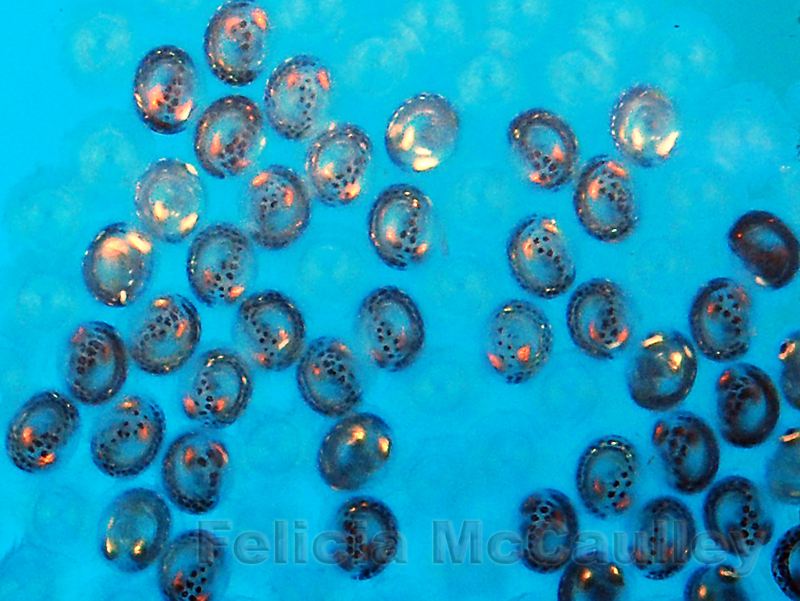 I estimated I needed three more boxes to pack up the seahorses and remaining saltwater fish, so ultimately, it was going to cost $1200 to ship my fish. 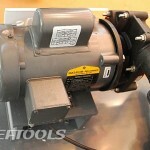 I ended up sending the test box 2 day air for $150. Luckily, I have a friend in Wisconsin an hour south of where I was staying with my in-laws who also breeds seahorses. 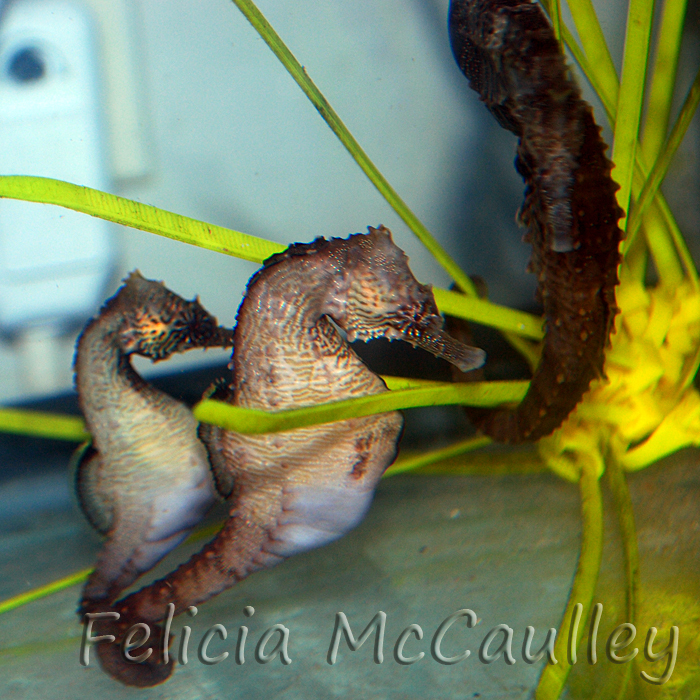 She graciously volunteered to baby-sit my seahorses and delicate marine fish while I got settled in Philly. A month later we were ready to have them shipped. 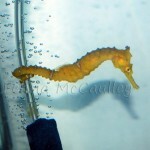 My fish and seahorses all arrived in great shape today. They were already begging for food, eating, and courting one another. Here are some pictures of them in their new Philadelphia home! 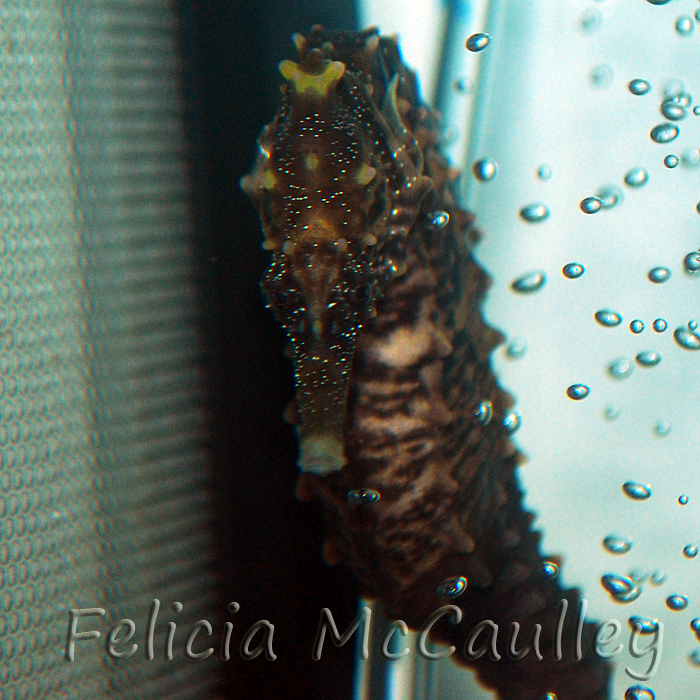 Sea Life Aquarium, an interactive guide to sea life for children, is located at the LEGOLAND Resort in Carlsbad CA. 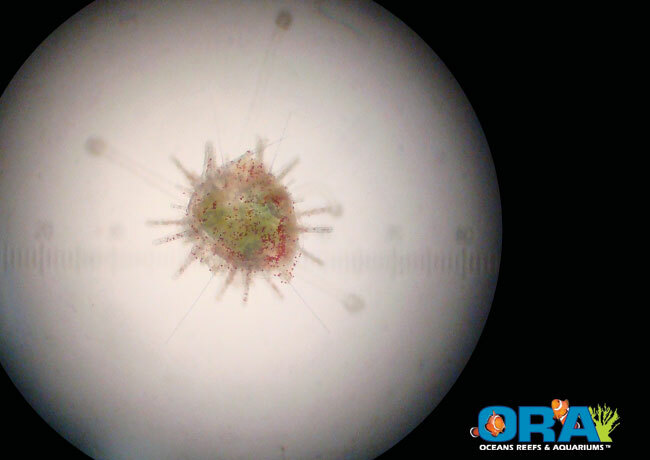 It combines hands on learning, with interesting talks, and opportunities to interact with many marine critters. 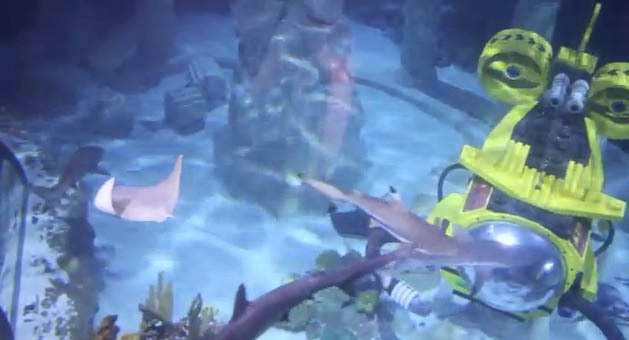 The main attraction is an 18 feet deep, 290,000 gallon walk-through aquarium which houses sharks, stingrays, fish and of course incredible Lego creations. The exhibit had been previously illuminated by 6,700 watts comprised of 6x400W and 14×250 Metal Halide bulbs; with an estimated annual energy cost of $5499. Well, Ecoxotic had a better idea. Why not replace the existing lighting setup with 8x50W 12000K Cannon LED Pendants; a total power consumption of 480W and an estimated annual energy cost of $394? Well, sounds like a fine idea in theory, but would it really work? You bet! The new Cannon LED Pendents increased overall illumination, cast a crisp white light which made the exhibit water look even more clear, and provided the amazing shimmer we all love to see in our tanks. So let me get this straight….there’s more light…it looks better…it saves the aquarium over $5100 a year in energy cost…WHO’S NEXT!?!?! 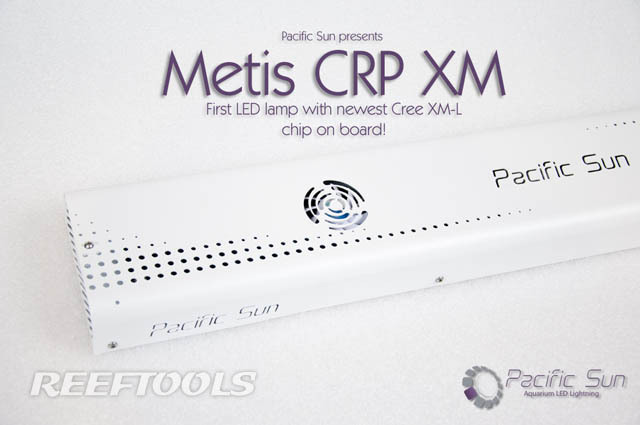 A couple of weeks ago, we reported the release of the Metis CRP LED Aquarium Fixture from Pacific Sun. 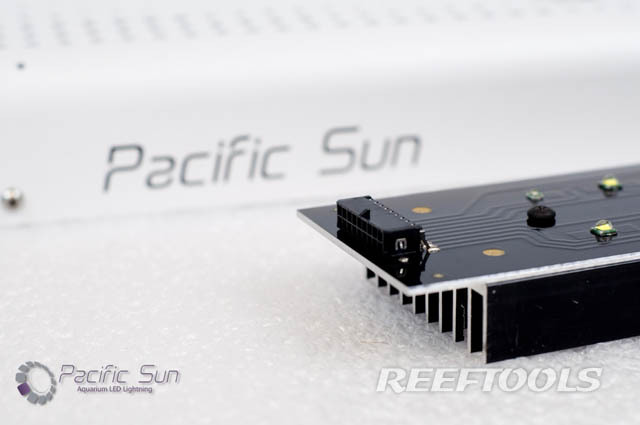 Now, Pacific Sun’s newest project is complete. 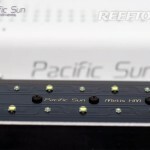 According to a recent press release, Pacific Sun is the first aquatic company to produce LED fixtures with the newest Cree XM-L LED chips. 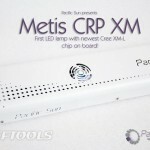 With an official release date of March 1, 2011 this new LED line will be offered in three sizes: Metis XM 2x150W 850mm, Metis XM 3x150W 1250mm, Metis XM 4x150W 1650mm. Each panel has 24 LEDs, 12 1D0 White Cree XM-L (up to 10W), 6 XP-E 465nm Blue (up to 3W), and 6 450nm Royal Blue LEDs (up to 3W). 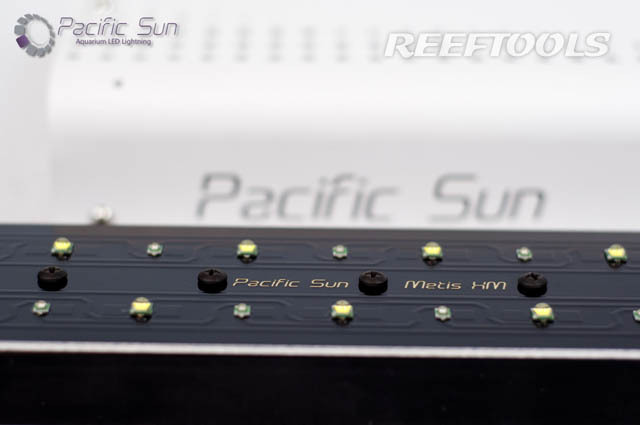 A great feature about these new LED fixtures, is the use of Micro-Molex plugs which allow each part to be replaced with no soldering or wiring. This means that any future upgrades or repairs can be conducted with ease. 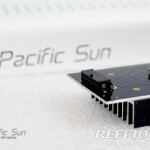 The modules can be controlled via Bluetooth with each color managed independently, to simulate sunrise, sunset, and overcast conditions.